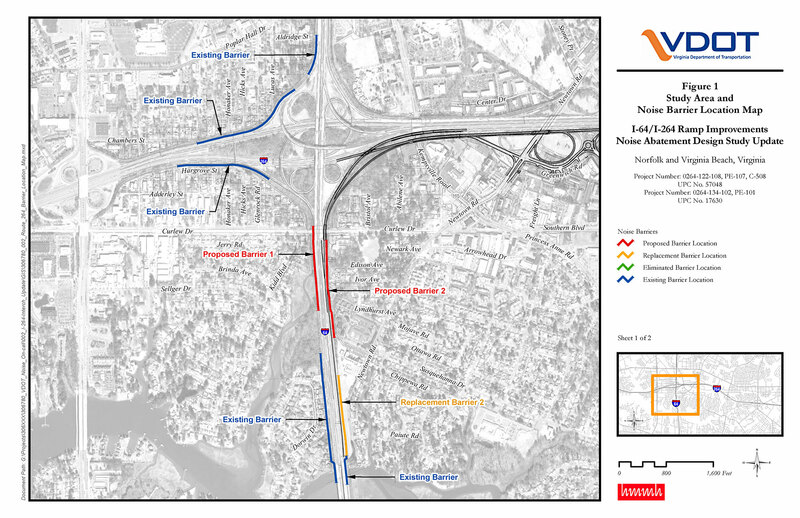 In 2008, HMMH conducted the noise analysis and produced the noise technical report in support of the environmental document for this project that involved ramp improvements at two interchanges on I-264 at I-64 and Witchduck Road. HMMH assessed potential noise impacts at 145 sites along the project and evaluated noise abatement at three locations. After the EA was approved and the project went to design, HMMH conducted the noise abatement final design study to determine if noise barriers for the residential and recreational areas adjacent to this project would be feasible and reasonable. 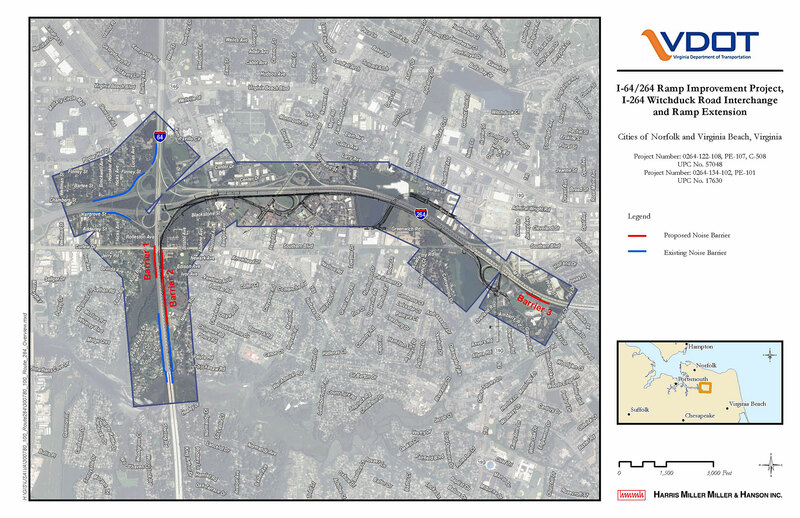 Two barriers for primarily residential areas were found to meet the Virginia Department of Transportation’s criteria for reasonableness. One barrier meets an existing barrier which will be relocated slightly due to the roadway widening. 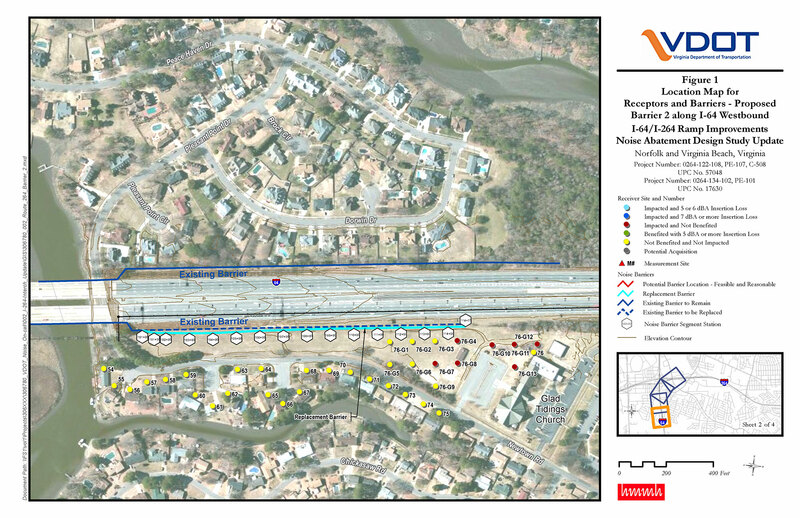 In 2015, HMMH conducted an update to the earlier barrier design study to reflect a new design year with updated traffic. HMMH reevaluated all the barrier areas previously studied and confirmed that the two barriers found to be reasonable remained reasonable as originally designed.